As part of our commitment to education, Volunteer for the Visayans (VFV) has since 2008 worked with international donors to develop its Build-A-Sc hool Project, an endeavor that aims to build classrooms for some of the Eastern Visayas most underfunded and remote rural schools. The goal of this project is to significantly alter the face of underfunded schools by offering facilities that will help enhance the educational performance of its students. In particular the project revolves around doing complete rebuilds or major renovations to classroom structures. In recent years, VFV has successfully completed five Build A School Projects in Calbayog City, on the island of Samar. 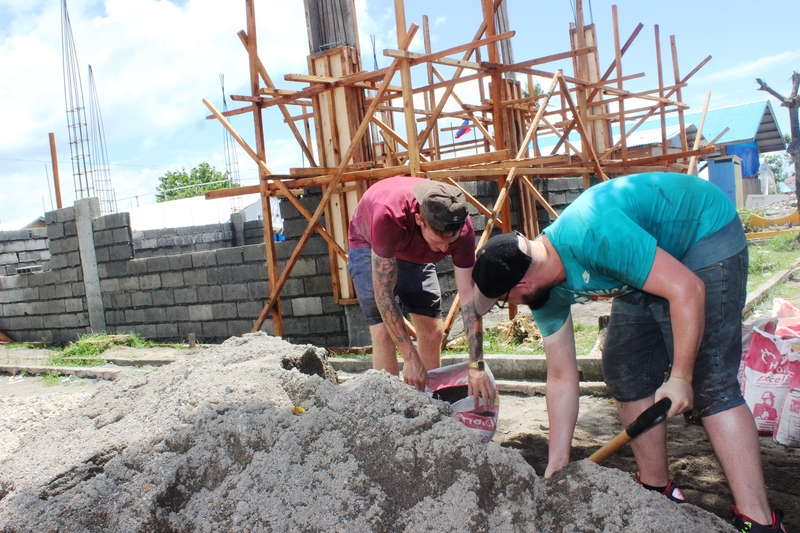 Such projects have included building a classroom for sixth graders and renovating a further three classroom buildings at Longsob Elementary School in the Oquendo District of Calbayog City. Furthermore we also renovated two more classroom buildings in the district at Rizal Elementary School. In the Tinambacang District, we further renovated three more classrooms as well as an adjoining day care center at Amapacang Elementary School. Help offer us the means to build more schools by making a financial donation.